Yams (Dioscorea spp.) are annual or perennial vines and climbers with annual or perennial underground tubers. Yams belong to the Dioscoreaceae family and there are an estimated 600 species of Dioscorea. The most important edible yams come from just a few species: D. rotundata (widely known as white Guinea yam), D. alata (known as water yam, winged yam or greater yam), D. cayenensis (yellow yam or yellow Guinea yam), D. esculenta (lesser yam, potato yam or Chinese yam), D. dumetorum (bitter yam or trifoliate yam), D. bulbifera (aerial potato yam), D. trifida (cush-cush yam), D. opposita (cinnamon yam) and D. japonica yams are popular in the humid and sub-humid tropics, particularly in Africa, the West Indies and parts of Asia and South and Central America. For cultivation, they are mainly treated as annuals. Yams are principally conserved vegetatively in field genebanks. 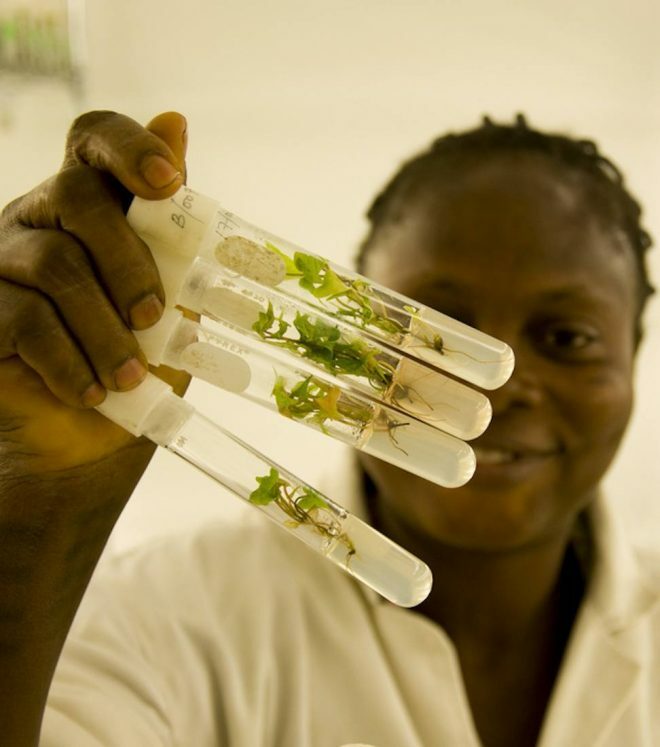 Efforts are also underway in some genebanks to conserve them in vitro for safety duplication. The largest genebank collection is are held by IITA in Nigeria, with a smaller collection at Centre for Pacific Crops and Trees in Fiji.